Sometimes I think I won’t ever understand the NHL. 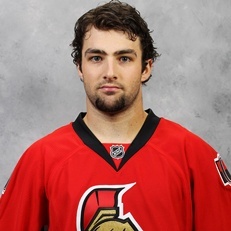 Cory Conacher is a young, cheap player who had a very promising rookie season just last year. He was promising enough that Ottawa would give up a goaltender who dominated in the AHL and looked very, very good in NHL spot duty. He was promising enough that people took Yzerman to town for being fleeced in that same trade. And now he’s gone. For nothing. Granted, Conacher’s numbers aren’t great this season — playing top line minutes and with great talent, he’s on pace to be less than a 30 point player, and he has only 4 goals. And, this is likely just a preamble to another deal, a move to make room for incoming additions. But I can’t help but ask…how can a team not get at least a late round pick for a player who was so highly valued, and so recently? He still has decent possession numbers, and possibly the intangibles to make a difference. (He seems to get under the Habs’ skin every time.) Is he really worth less than, say, Matt Hendricks? this technological world the whole thing is existing on web? I aam regular reader, how arre you everybody? This post poted at this web psge is trulpy nice. site a lot of times previous tto I could get it to load properly. I had been wonderihg if your web hosting is OK? Not that I’m complaining, but slkow loading instances times will often affect your placement in google and can damage your high-quality score if ads and marketing wigh Adwords.